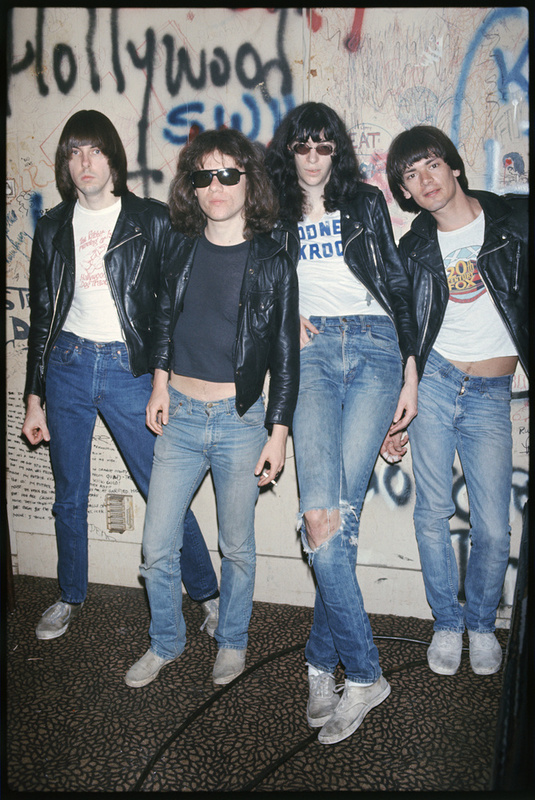 The Ramones were staying at the Sunset Marquis, just down the street from the intersection of Sunset Blvd and Alta Loma. The band was wonderful to photograph and they really knew how to work the camera. They would all line up and strike their pose like they had already done it a thousand times before. It was so cute to watch. I am sure they were taught how to do the dog for the camera by their brilliant manager, Danny Fields, also a talented photographer. Both the Sunset Marquis and The Whiskey are still around. You can go for a visit and stand in the exact spot where Joey, Johnny, Dee Dee and Tommy once stood. I should conduct tours of these landmarks.